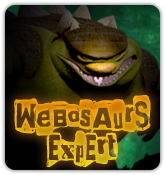 As you may know, Webosaurs artist, Kickinwing, has been posting awesome Webosaurs concept art on his blog for some time now. 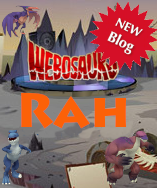 This time he gave us a pic of these awesome looking characters, that we might see in Webo very soon! What do you think about them? Will they be on Spike’s side or Webo’s side? Who actually are they? Share with us your thoughts! 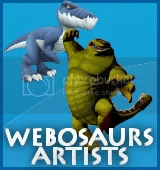 Webosaurs Artist – Kickinwing, has given us with some awesome pics of upcoming stuff and just keeps on posting even greater ones! Just take a look! It all looks amazing! I just can’t wait to see them in-game! I also think that non-members might get their own spy gear! What do you all think? Don’t you just love Kickin’s work? When Flyboy came online today, he gave out some info about the safe chat symbol, and where it will be. 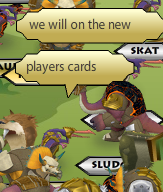 So it looks like there are gonna be some new player cards coming out soon, and safe chat dinos will have a symbol on them. I think this will really help with helping new dinos, what do you think?